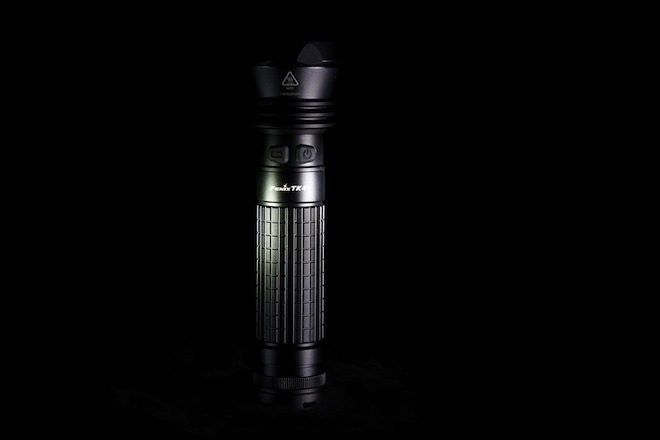 First of all: The Fenix ​​TK41 convinced in our LED Flashlight test in almost all areas and at our award as “Professional Tip” earns more as. “Made in China” in this case is so far no indication of a cheap product. On the contrary, for years is Fenix ​​known among connoisseurs as a quality brand. 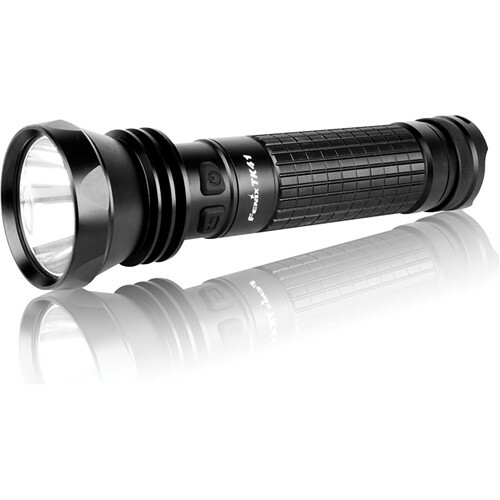 But enough talked, now the LED flashlight itself: The black aluminum case is to IPX-8 standard, up to a depth of 2m waterproof suitable and thus perfect for outdoor adventures. The power source will serve 8 usual AA batteries (included) or NiMH batteries. 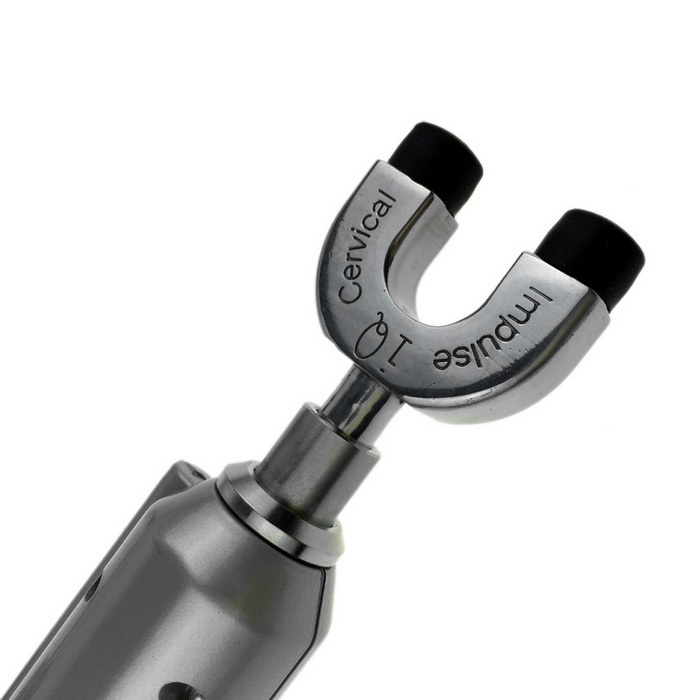 Including batteries, the weight 520g at a length of 23cm. 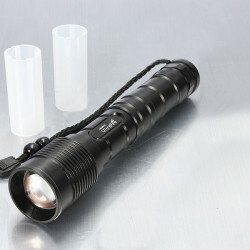 The LED flashlight is thus by no means bulky despite the high power but is well in hand. In the package also a wrist strap is included. The inner workings can convince: The life of the Cree XM-L LED is loud Fenix ​​50,000 hours, the windshield is made ​​of tempered glass with anti-reflective coating. 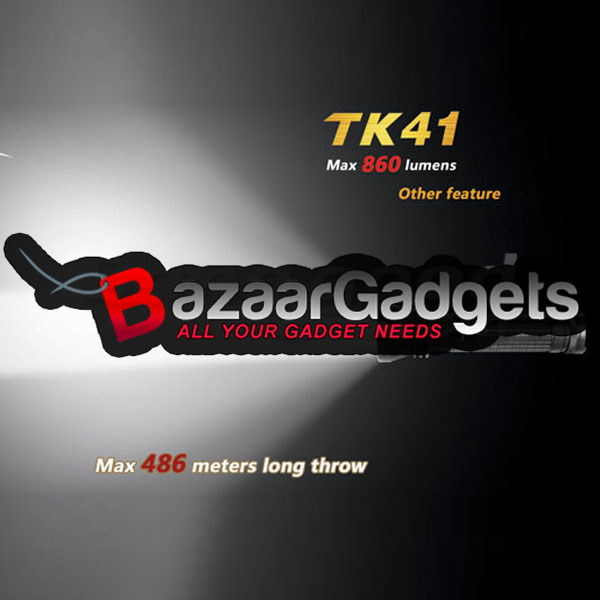 With a maximum output of 860 lumens and a range of 486 meters, the TK41 belongs to the top class in the price range up to 100 €. 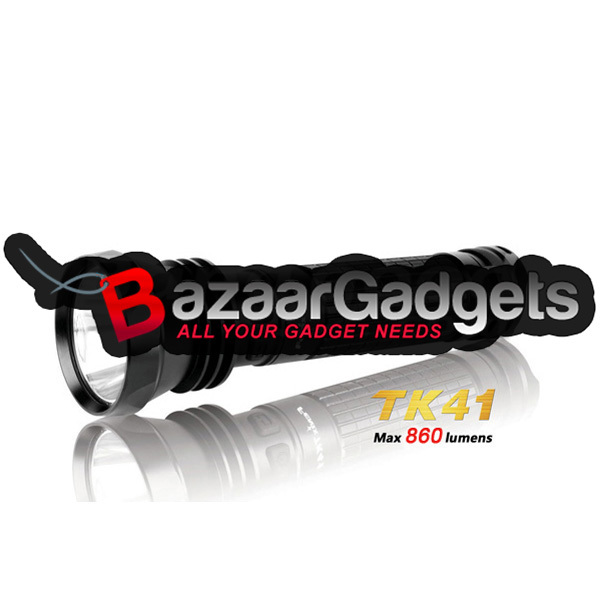 The Fenix ​​TK41 offers four light modes with varying brightness and two flashing modes. It is operated via two thumb switch: One activated on / off, with the other hand, the light levels are changed or flashing modes. 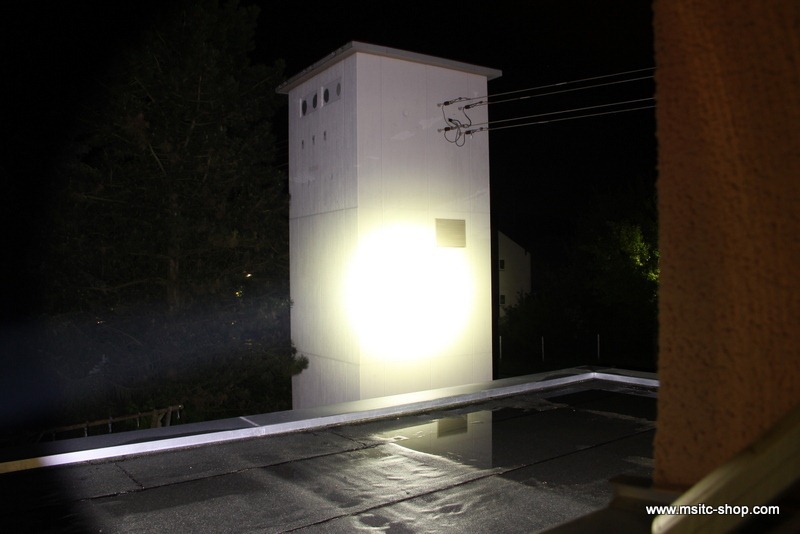 Strobe:860 lumens. Rapid blinking with adjustable frequency. 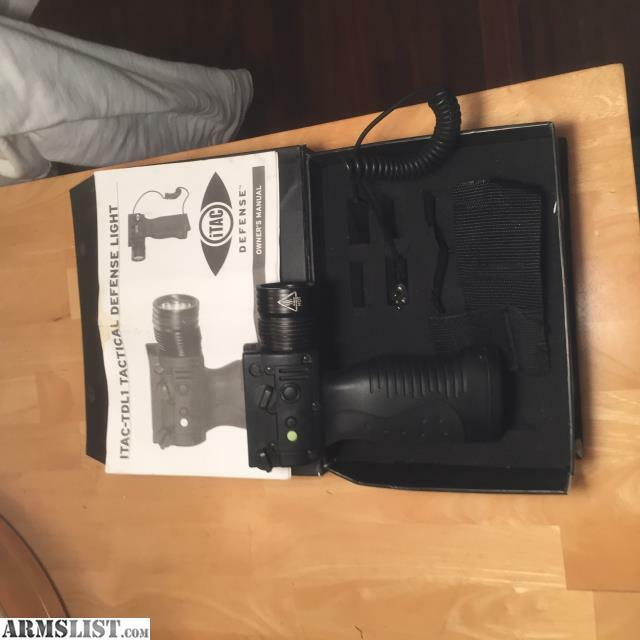 SOS: 120 lumen. By flashing the SOS signal is sent. 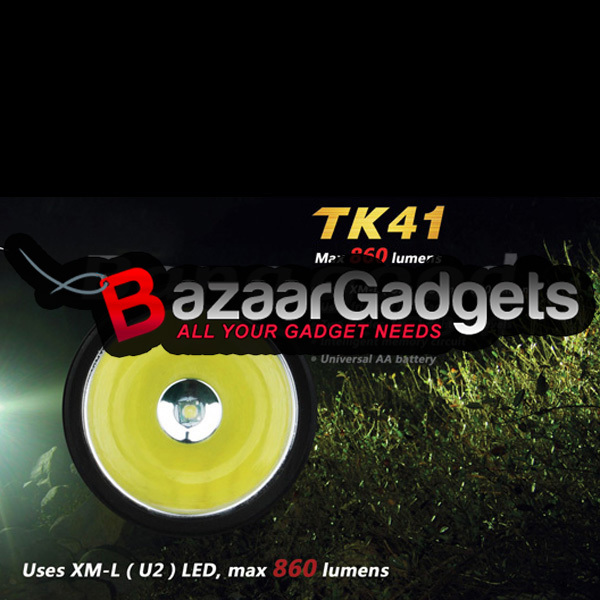 The TK41 will automatically remember the luminous stage last used and starts automatically the next time you use. 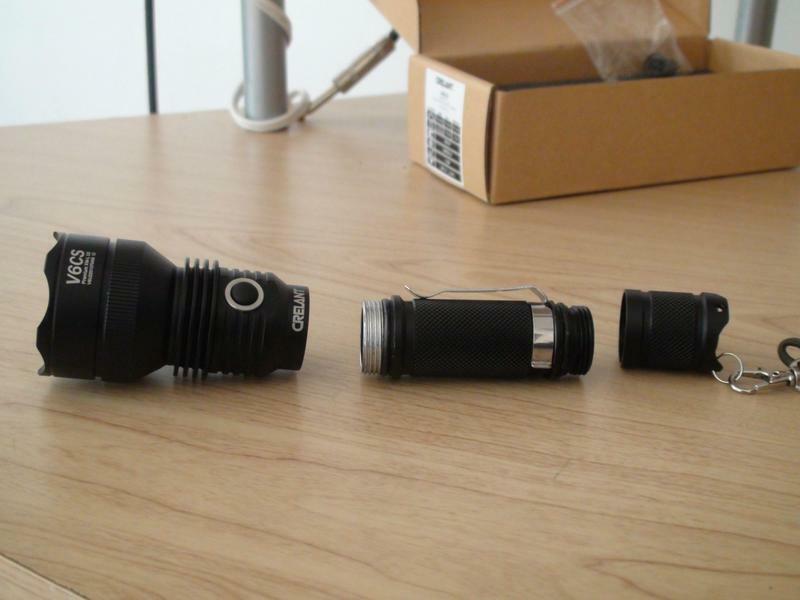 Typical of the quality of Fenix ​​flashlights is the perfect control: The brightness remains almost the entire life of the battery constant and only for stays of at the very end. Yes, even with our professional tip there were little things that bothered us. That is the fantastic overall result does not diminish, but all is not perfect, the Fenix ​​TK41. 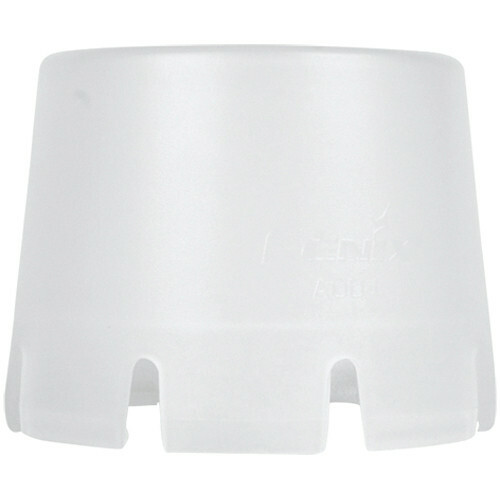 As often happens with products from Fenix ​​is battery Magazine little shaky constructed. Until all eight batteries are properly required of tact lot. Not exactly ideal if for example even in the dark forest, if possible, even in cold weather, the batteries must be changed. 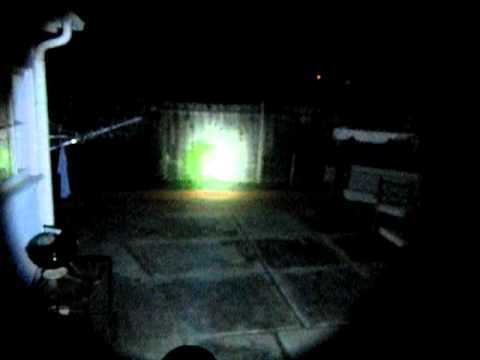 There is also no focusing of the light beam possible. 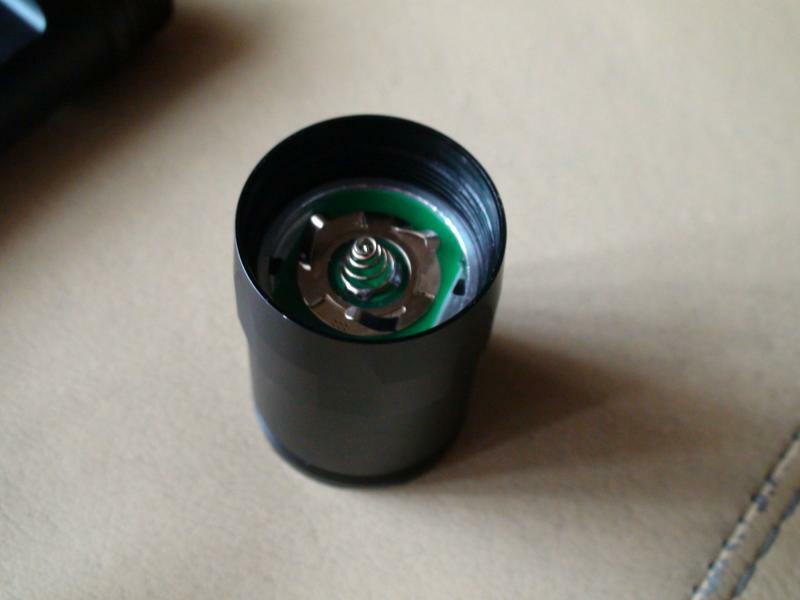 Planning your LED flashlight use mainly for short range should probably grab rather to another model. 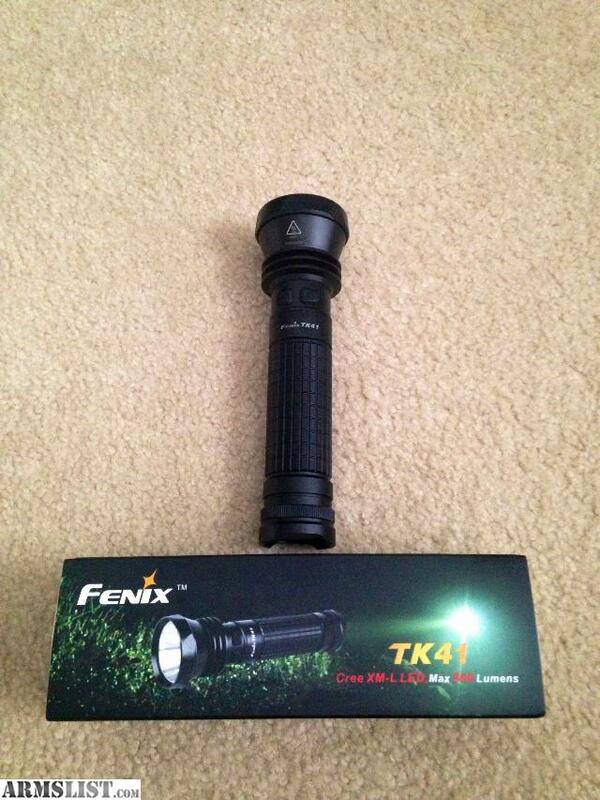 Quite cheap, the Fenix ​​TK41 with about 90 € certainly not, but on this LED flashlight you get a lot offered for his money. 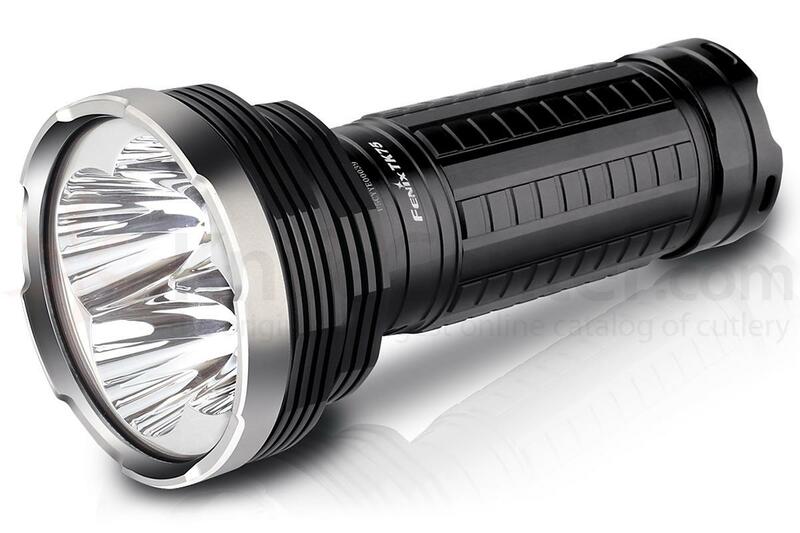 Thanks to your processing, robustness and quality of light, the TK41 is perfect eg for camping trips, hiking or caving. 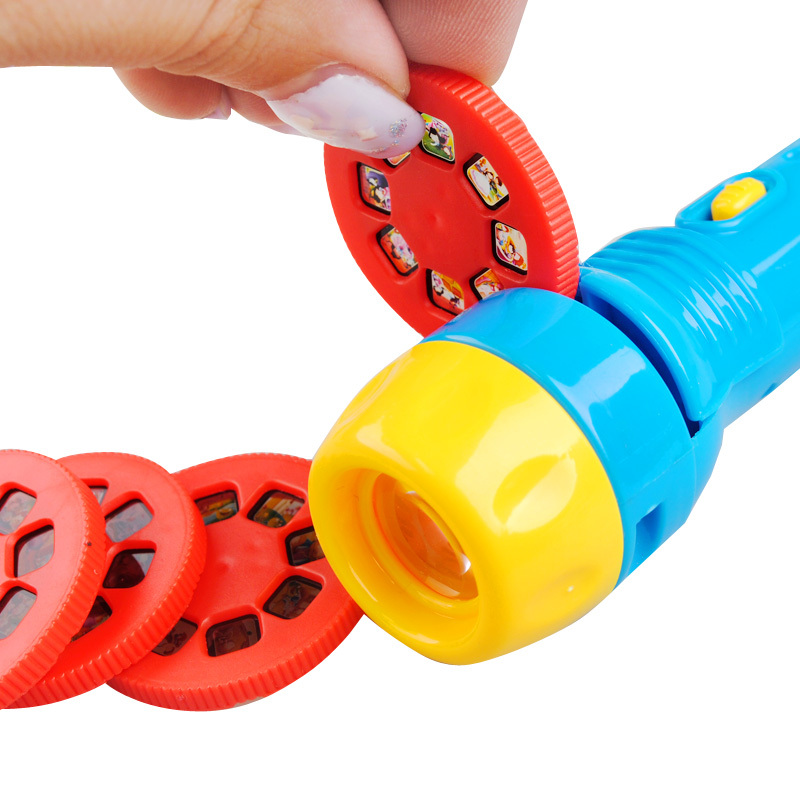 Outdoor enthusiasts are expected with this flashlight thus can practice tricks. But also for evening walks with the dog or use at work, there are no better alternative in this price range. 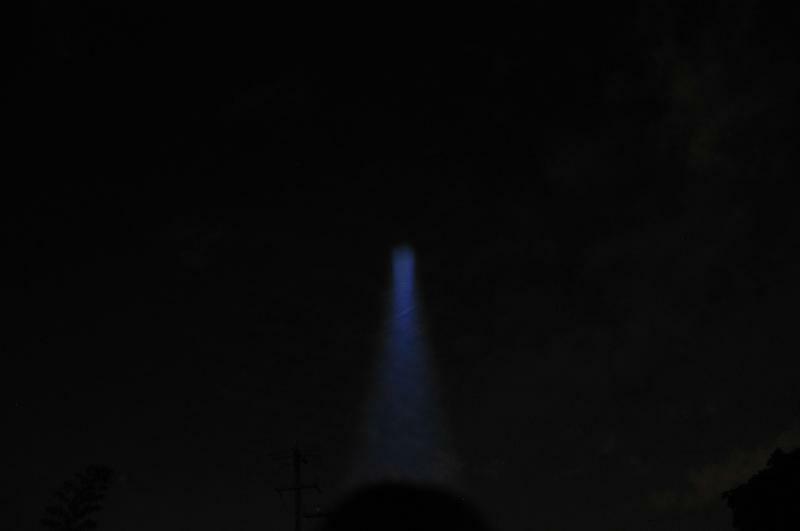 A LED flashlight for professionals who (almost) convinces all respects in.